You must make reservations at least 5 minutes in advance of the time at Fahrenheit 132. 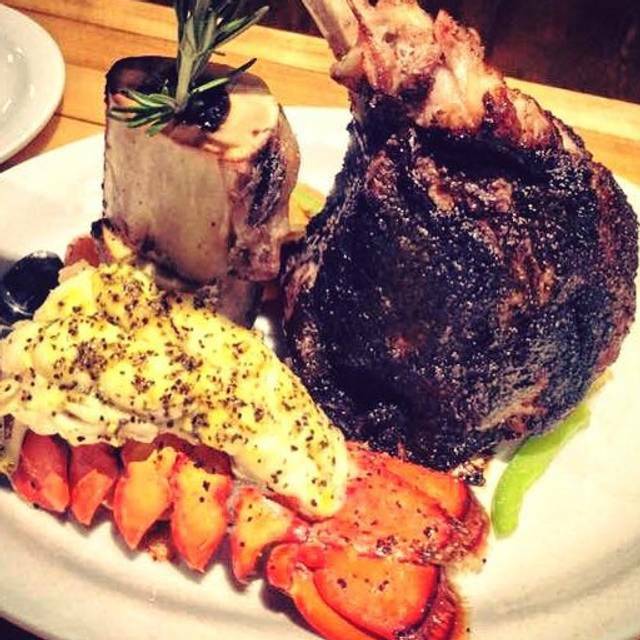 We are a cutting edge steakhouse focused on creating the best food for the most reasonable price. We are located in the heart of Historic Downtown Fredericksburg. Either quick dinners or celebrations, we are an excellent fit for all. 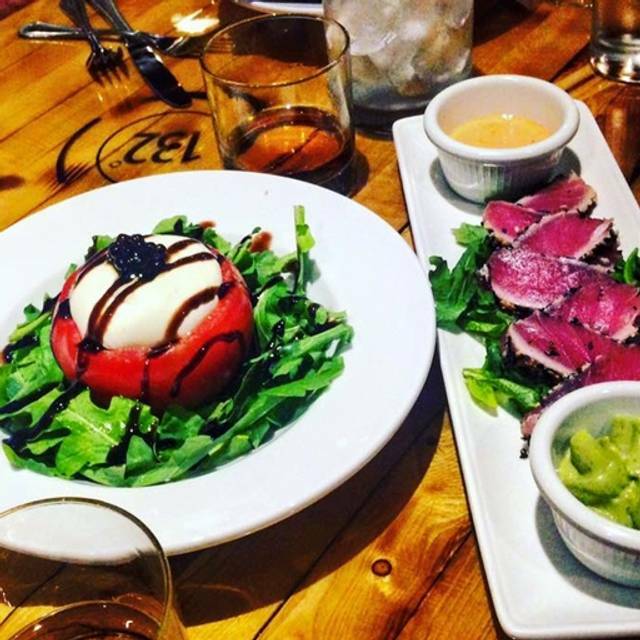 With only the freshest ingredients used and always sourced first in Virginia, and Certified Angus Beef born in VA, this steakhouse is one of a kind! We had a fabulous dinner. It was my Birthday, and I love going to Fahrenheit 132, so that was my pick. The service was great, the food was Fabulous, and they surprised me with a Happy Birthday desert! It was their apple cake, which is something I would normally not get, but it was very delicious! I also tried the short ribs for the first time....YUMMY!!! I will order those again! Thanks Fahrenheit 132 for a great Birthday Dinner! One of the best restaurants we been to in a long time and we;re glad to have found Fahrenheit for our anniversary dinner. The food and service was impeccable!!! Our server, Justin, was such a joy and recommended the perfect bottle of wine which complimented all of our meals. Fahrenheit never disappoints!! Excellent food, attentive service, great ambiance. I little over priced, but within reason. We both ordered the same dinner. Filet with sides of mashed potatoes and Brussels sprouts. Delicious! On the whole the food was good. But the less-than-positive experience started when they poured the water, and didn't notice a bug floating in one of the glasses. They were a bit surprised, never really got an apology. We ordered glasses of wine and other beverages. Two of the four individuals at our table got their wine, the other two guests had to ask a few times for their wine/beverages. Really no significant apology for this oversight. Then some of the food (the sides) were cold, had to be sent back to the kitchen to be heated. 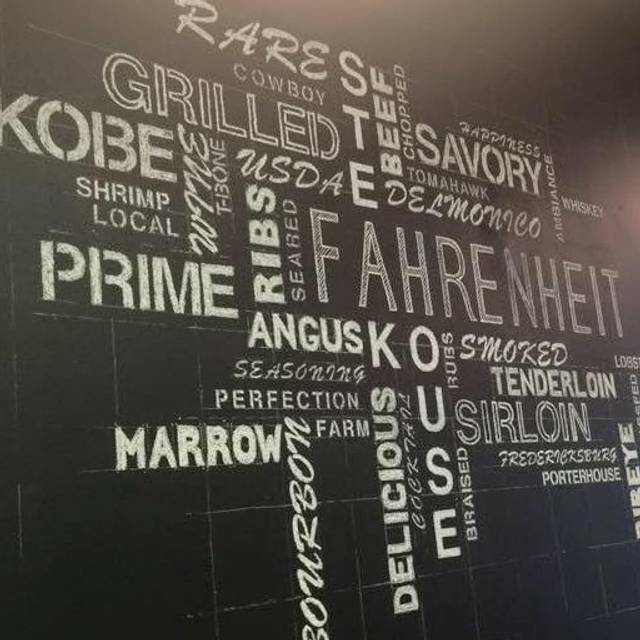 The meats were delicious-- and this is where Fahrenheit really does shine. But there are a number of wonderful restaurants in F'burg now, so hesitant to return to a restaurant whose service professionals have so little attention to detail and appropriate service. 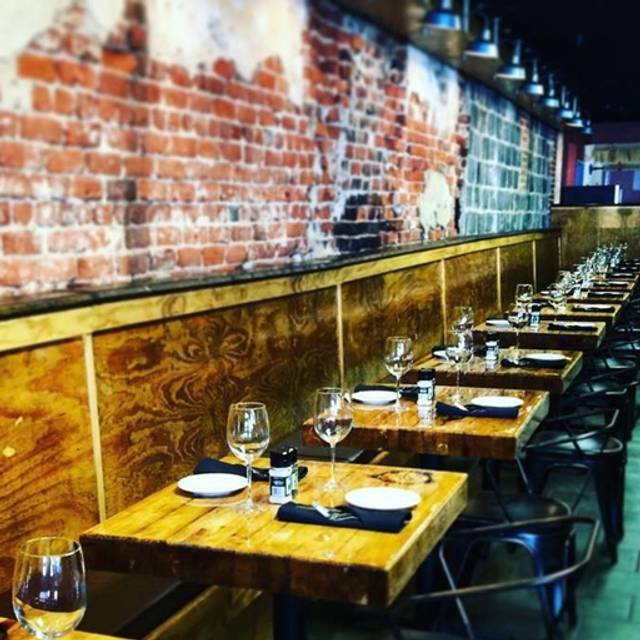 Have been to Fahrenheit a few times, but we find that the servers are a bit snooty (a real pet peeve of mine), but lacking attention to detail. 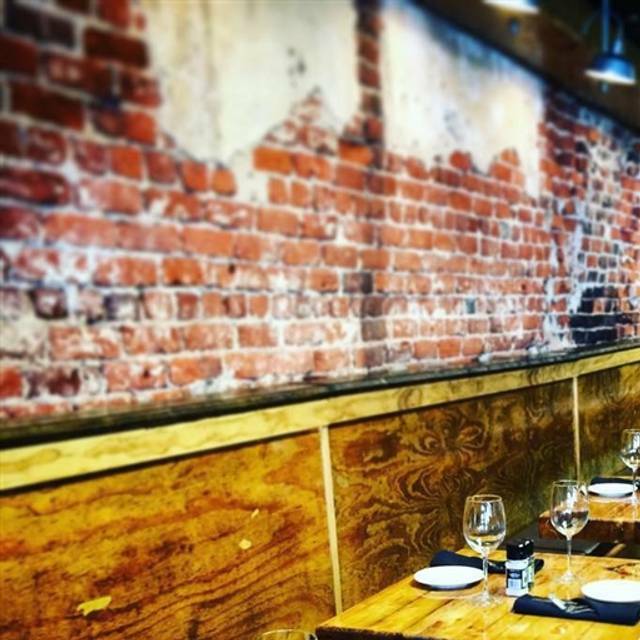 For the price of a meal at Fahrenheit, there are other lovely options in town. Best steaks, great wait staff and their happy hour is awesome!!! Wonderful as always! Delicious food, great service, nice atmosphere. Good drinks! My favorite steak ever. Lamb chops were best ever. Cooked to order and well seasoned. Crab and avocado app was horrible - so much salt in crab that was all that was tasted- salt. Too bad, could have been a wonderful dish if less salty. Roasted vegetable soup was good but slightly too much salt, again. As usual, Fahrenheit 132 didn’t disappoint. Food and service were fantastic. Everyone is so friendly. They even brought out some delicious banana pudding for my birthday. The atmosphere is relaxing, servers are attentive without being invasive, and I appreciate being able to carry on a conversation without yelling. Please don’t change a thing. I love you just the way you are! I’m on a college tour with my children and this was one of the best meals I’ve had personally or professionally in the past few months. The steaks were outstanding and the service was excellent. The restaurant is rather small. The interior is warm and inviting. Reservations are easy, the hostesses are pleasant and professional. Our waiter was very nice. He described the menu very well. He was a little slow on checking in with us for drinks and checking on food once served. The food is over priced. The salad was described as dinner size. It wasn't even side salad sized. And, at $13, I really expected more than just a few THIN slices of apple/pear on top of a few layers of spinach on an extremely small plate. It was very good, but wasn't even close to my expectations given the price. My $35 rib eye was mostly fat. Though it was covered in a thick rub probably intended to hide the massive disproportionate amount of fat. We were excited to check out this very busy restaurant, but won't be going back. The food was delicious and the service was excellent. We will definitely be returning in the future. The food was good. The seating was terrible. 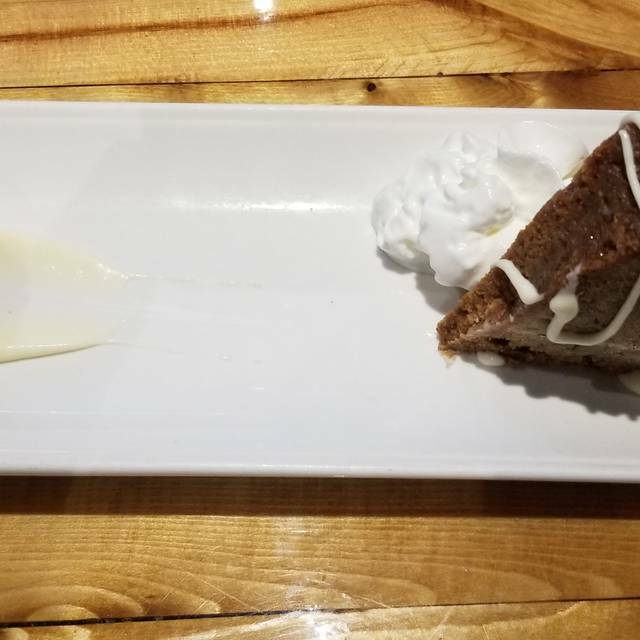 My friend was not impressed with the mac and cheese and the dessert. We were seated along the wall. A hard bench for her and a chair that was about four inches too short for me. There was a constant parade of people bumping my chair. Would never order the "special" again. Excellent food. Excellent service. My steak was one of the best I've ever eaten. I highly recommend Fahrenheit 132. 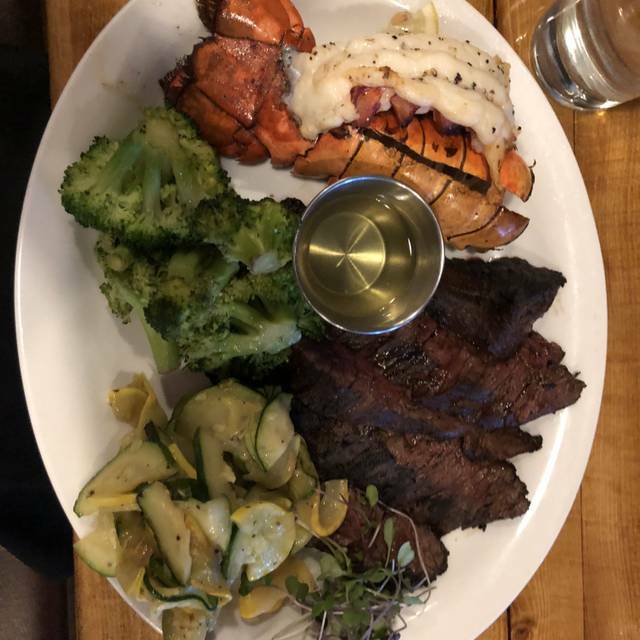 Everything was delicious and our service was excellent! The steak we ordered could be cut with a spoon is was so tender and good ! And the truffle mac and cheese omg! This will be our go to for special occasions ! First time was horrible, we came on a Saturday and was hurried out by our waiter who kept on coming by our table looking at his watch and whistling. Food was excellent, tried this again and it was excellent, waiter and staff was over and beyond, food was still excellent . Even if we came Saturday night the first time and Sunday night the second time we should of been treated the same. Loved everything about Fahrenheit 132. The food and service was excellent! It was my Grandson’s birthday! Good is so great and staff is always so friendly and helpful. Server was very attentive and knowledgeable. The Australian Kobe Steak was top notch. Casual atmosphere. A little noisy, but still an enjoyable place to enjoy high quality meal and service. We got the Fahrenheit 132 special with Kobe Cowboy Steak for two. Steak was delicious and service was really good. Friday night go to place! Amazing food, wine selection and well trained and gracious wait staff. We've dined here a number of times and it is always good. However, on this visit the food and the service were excellent, even better than usual. A very nice evening out at a local favorite. Street parking is readily available, the restaurant is easy to find, the service was fast, and the steaks were absolutely delicious! This is the 2nd time we had the pleasure of dining at Fahrenheit. The food was superb and the service was 1st rate. We will visit again in the future. 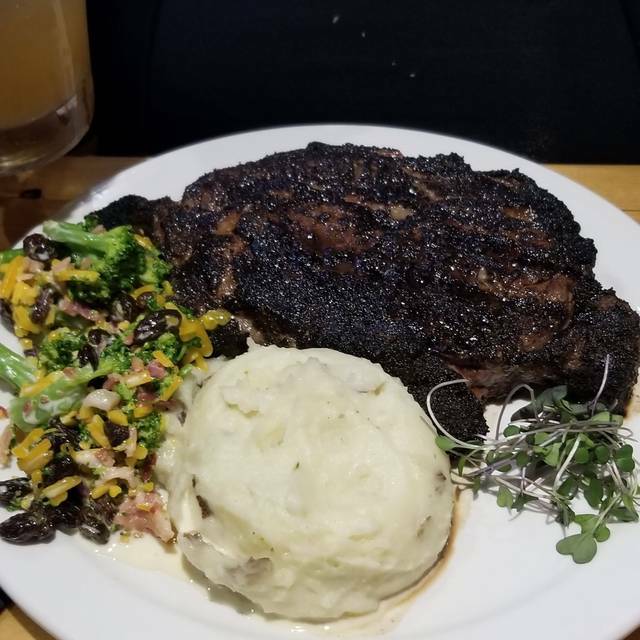 Although my steak was cooked two steps below where I ordered it, ( I ordered medium and it was very rare) the flavor was good, the service was good, and they had a good drink selection. I gave them a 3 because as a steak house, I expect my expensive steak to be cooked somewhere near where I want it cooked the first time. They tried to cook it better the second go around, but it had already cooled off too much to really cook it the right way. I will pretty much eat anything, but I ended up leaving half my steak on the plate because it was just too raw for me to choke down. I’d return, but maybe order the chicken. Great food and service!! I have already recommended this place to all my friends. This place never disappoints amazing atmosphere, attentive and friendly staff and most importantly delightful food. You can’t go wrong everything on the menu is great! Must have a Fahrenheit Infusion to go with your meal. Greatest cuts of meat in Downtown Fredericksburg. Sirloin is as tender as Filet most other places. Very extensive wine menu. Great dessert selection. Fahrenheit 132 is our favorite "special place" in Fredericksburg. The food is outstanding. You have to drive to Richmond, Alexandria, or Washington, DC for a comparable steak dinner. The service was very good. We weren't rushed to order and didn't wait an excess amount of time between courses. I think the prices are appropriate for the quality. I absolutely would recommend Fahrenheit 132 to friends. 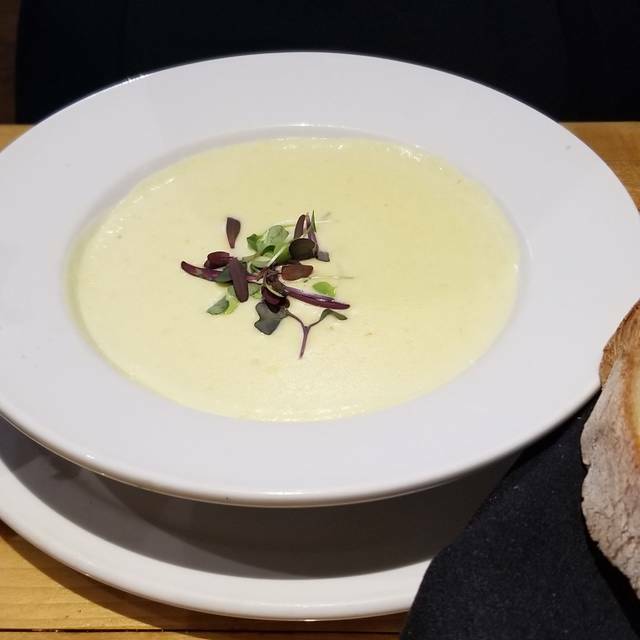 The Food is always awesome and the staff has a complete command of the menu and are not opposed to spilling their thoughts about their favorites. My wife and I have now eaten twice and had the steaks each time....each cooked to perfection. Would definitely recommend (I already have) to friends and family. Tables were a little close together (and our neighbors were annoyingly loud) and seats a little uncomfortable. Food was out of this world, however! Wonderful food, service and experience! We had an amazing experience. Our server was knowledgeable and not in your face, but I never once wondered where is he, or where is my food or drink. The food was spectacular. We went for the 3 course dinner for two that included the Australian Kobe Cowboy Beef 28 ounce Steak. It did not disappoint. So perfect. Wonderful evening, the food was fabulous, and the staff was great. Just a little crowded.